Home > News > Looking for cheap home playground equipment? Here is an inquiry of playground equipment of May 2017 from customer who run a daycare in the united states just outside of Houston, TX. He is interested in cheap home playground equipments. We sell them at a reasonable price to our customers worldwide. Inquiry: I run a daycare in the united states just outside of houston, tx. We are interested in your playground equipment. How much is shipping and how long does it typically take to ship your equipment. 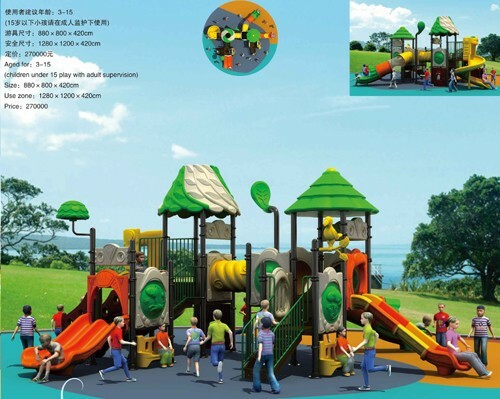 Angel Playground Equipment Co.,Ltd supply kinds of outdoor playground equipment for kids like Ocean Theme, California City, Rocket Series, Animal Series, Ice World, Water Park and custom playground equipment for you. Any of them will give you and your child the opportunity to play together and will make sure they have the best childhood possible. Please feel free to contact us if you are interest in our playground equipment.